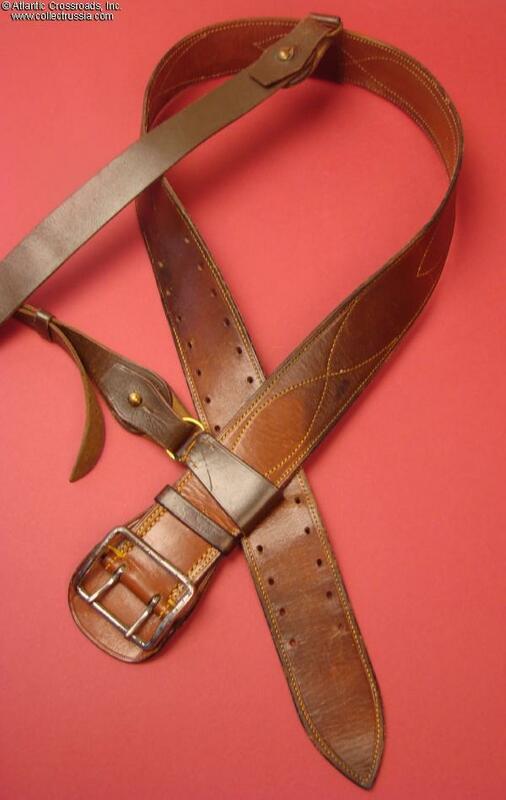 Army officer leather belt with two-claw steel frame buckle, circa early 1940s. 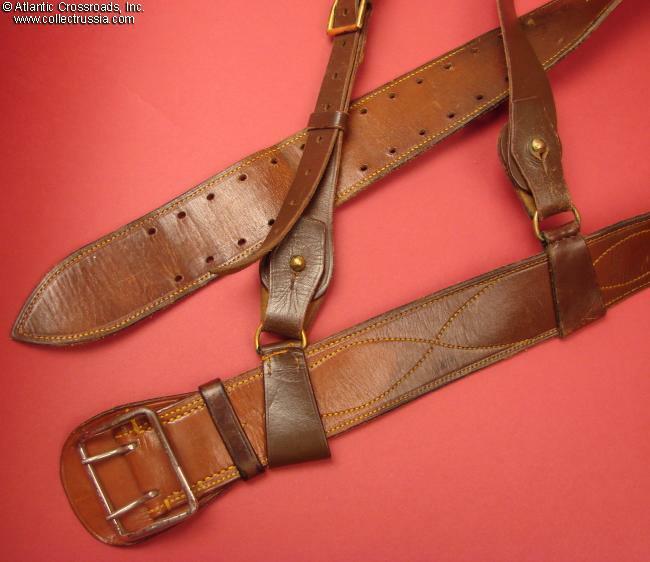 Army officer leather belt with two-claw steel frame buckle, circa early 1940s. 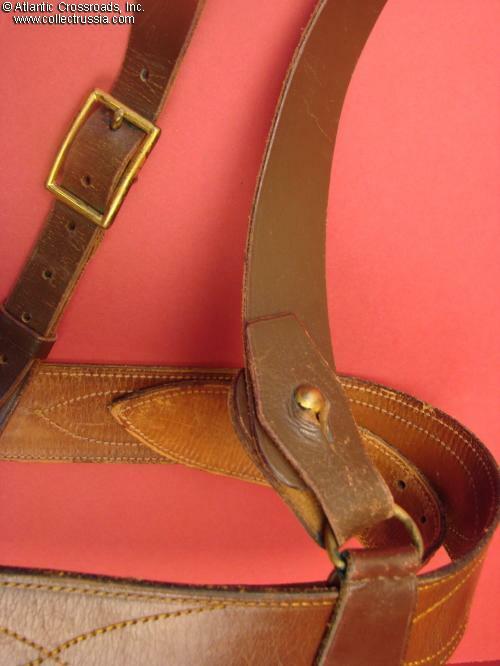 Overall length 45.5". 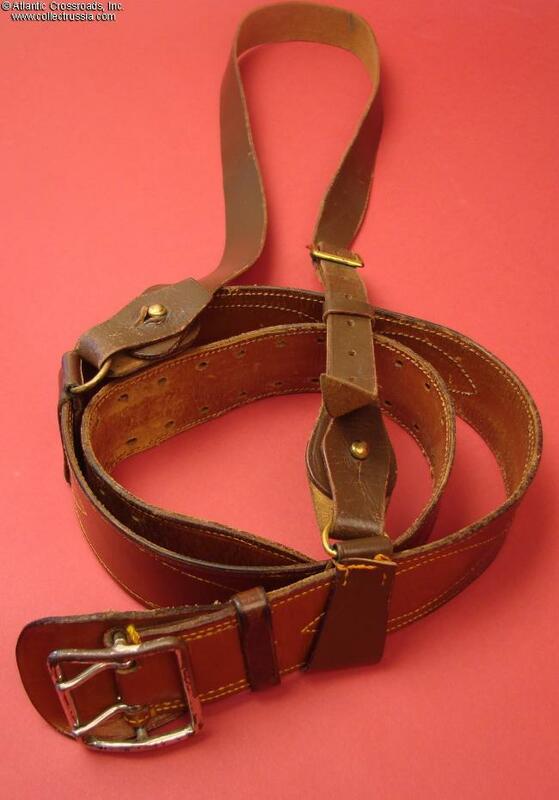 Should comfortably fit up to a size 38 waist. No maker marks. In excellent condition. 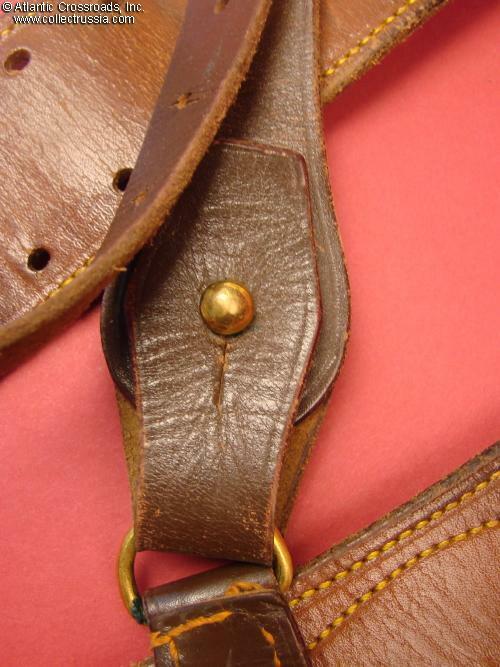 The leather is showing only minimal wear, still healthy and attractive. The stitching is tight and sound throughout. 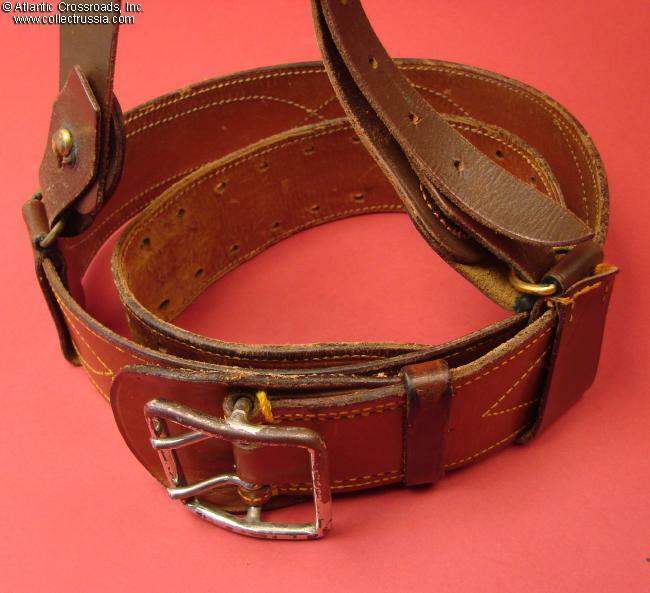 The chrome plating on the buckle has worn out in spots, but this is not too detractive to the overall appearance of the belt. Includes an original keeper loop. 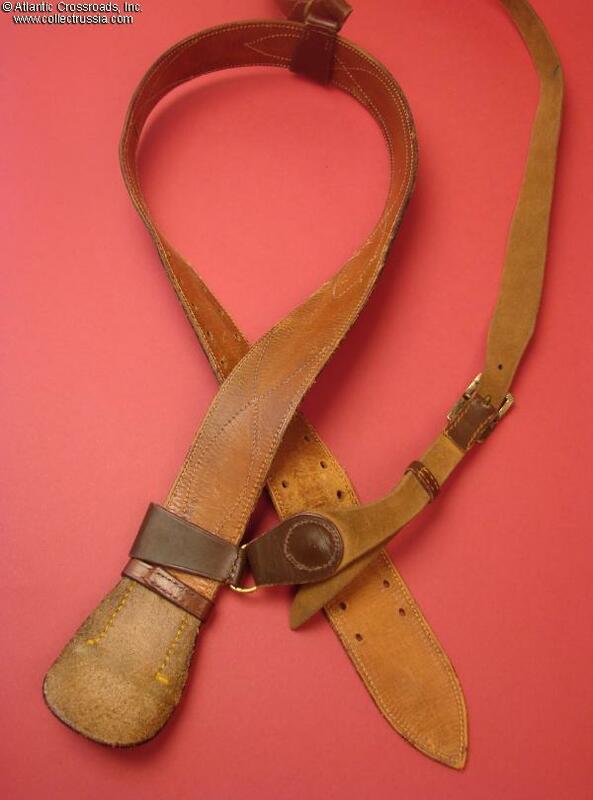 The leather shoulder strap is a post-war addition, but matches fairly well.